“Who can take a sunrise? Holy epic stoner gift from the Gods! Willy Wonka and the Chocolate Factory presented in Smell-O-Vision is playing at the SIFF and they may as well blatantly advertise: Get-Extremely-Toasted-and-Come-Here-and Never-Leave-Until-Your-Cheeks-Feel-Like-They-Just-Might-Split-In-Half-From-Laughter. You don’t need to talk for this. Just grab your bag of candy (goodie bag of candy provided!) and sing-a-long. 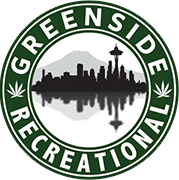 So we thought we’d help you out with some killer strains from Greenside, Seattle’s most accommodating pot shop. Playing it Safe: The killer bud that both experienced stoners and newbies alike gush over, good old Sour Diesel is a fast-acting dreamy, cerebral Sativa-dominant strain that is not only good for enhancing kaleidoscopic visuals, but also for amplifying and giving many layers to sound. Although you don’t have to say a word, you won’t lose the gift of speech on Sour Diesel, and your euphoric buzz may lend itself to being downright chatty, if you’re so inclined. Also good for depression, anxiety, stress and pain management. Flirting with the Flower: If you’re looking for a bit more of a head trip, look no further than the treasured famous Indica Granddaddy Purple (GDP), a descendant of Purple Urkle and Big Bud. This purple, crystal-dusted strain is quite potent, so tread cautiously if you’re new to Granddaddy. You can expected a euphoric high with a relaxation kicker. You’ll feel all your muscle tension and stress melt away, as you float ever upward in a surreal dream, as you watch Wonka and company in a parallel universe on the screen. No Turning Back: Looking for the potent no-nonsense strain to get so much more out of Willy Wonka? Go no-holds-barred with Gorilla Glue. This hybrid strain will become an instant classic as it calls the shots and lifts you with its trichy euphoric buzz that allows you to easily surrender to in total relaxation. Plan wisely, you may want to wait till you know you can make a quick exit to a controlled environment on this one, or bring some adoring caretakers with you on your Willy Wonka adventure. Stock up at Greenside Recreational first. Get one of the top strains for Willy Wonka here at the Greenside Rec Menu. Get Tickets for Willy Wonka in Smell-O-Vision with shows playing December 16th through December 18th at SIFF Film Center.